At Old World Audio we were looking for the T4B cell attack and release characteristics in the form of a pedal. After testing many proprietary manufactures' pedals over the years we noticed mostly that they lacked a second release time. The LA2A's dual stage release has not been put into a pedal that we know of, so we at Old World Audio took it upon ourselves to make it happen, and to provide the music community with a product that performs like a rack unit for the price of a pedal. That warm rich tone that made the LA2A famous is now available in a compact size and price. 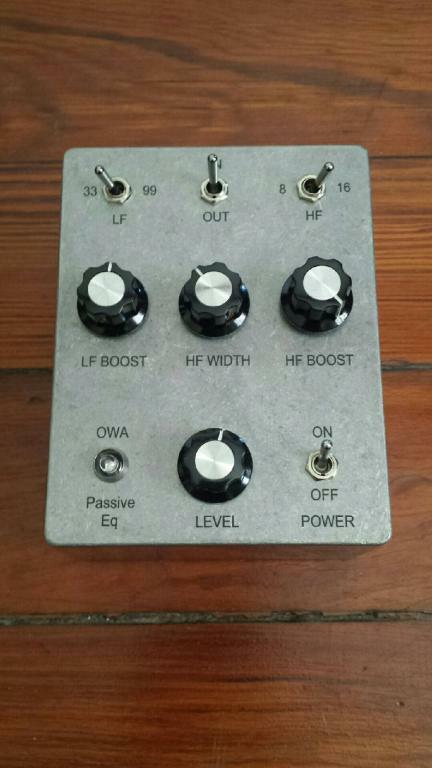 For all who would be interested in a Pultec EQ in a very portable enclosure, here is the OWA Passive EQ. This is a simplified version with big clean bottom and a beautiful inductor top end. The frequencies are 33 and 99 in the bottom and 8k and 16k in the top. These are lift only, no cut. There is a Q control for the top end which is on an original Pultec and comes in quite handy. These units can run off of a 9volt battery or the supplied power supply. This allows the OWA Passive EQ to be used for live shows, recording session work and easily transported from gig to gig. It works great in front of microphone pre amplifiers as well as adding to a mixing console and is just what most DAW's would need. The OWA Passive EQ is just like a Pultec as it needs to be driven with a 600 ohm source which most good mic pre amps or consoles do. If your console does not have this capability, you can strap a pre amp or line amp on the bus outs to drive it and return to an available channel for parallel EQ sweetening. 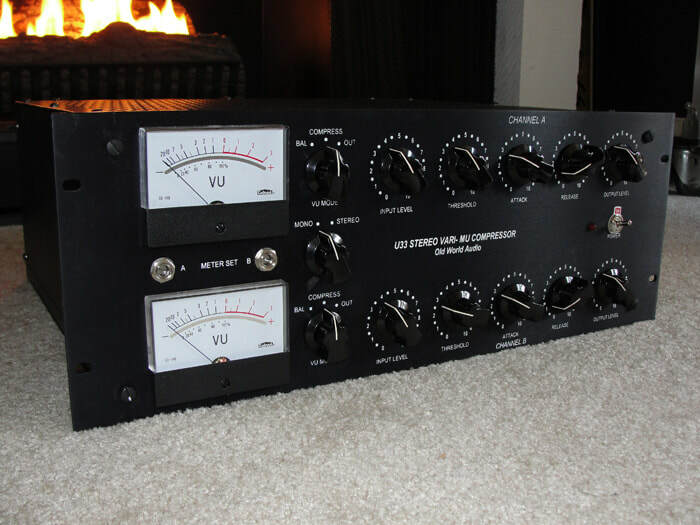 The U33 compressor utilizes all vacuum tube technology (no solid state). It is transformer balanced in and out and was built out of the respect for some of the 1960's Abbey Road engineer Geoff Emerick's recordings from the Beatles Revolver era. The unit is not a direct clone of any compressor from the past but we feel the essential features of the EMI RS124 are preserved as well as some newer flexibility. 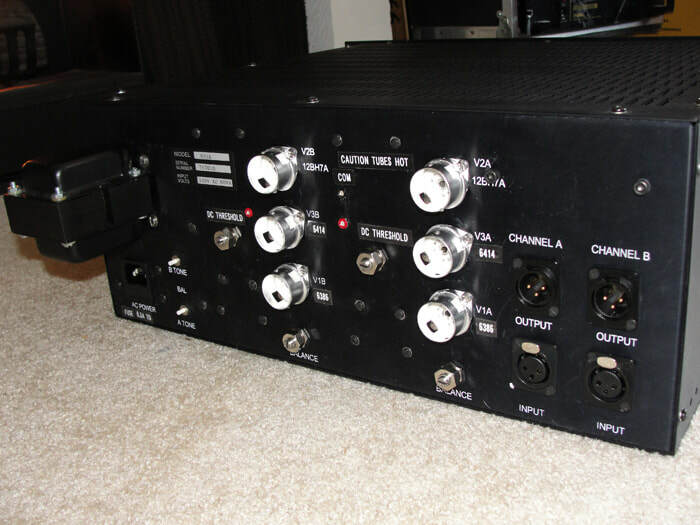 The unit is a cross between an Altec 436, EMI RS124 and a FAIRCHILD 660. Running channel A into channel B will yield some very interesting pumping a breathing effects. If High Fidelity is in mind it is Stereo Linkable and will behave itself beautifully across a mix. We hope you enjoy using it as much as we did designing it and recording with it. 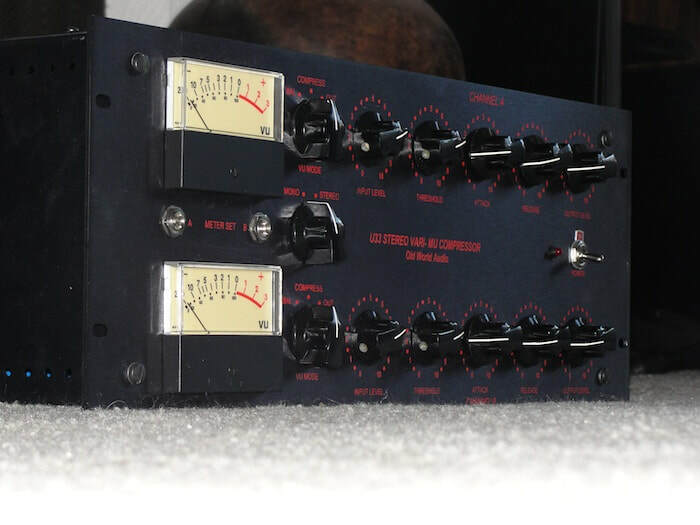 This unit was honestly a labor of love and we think it adds a certain magic to the recording experience. 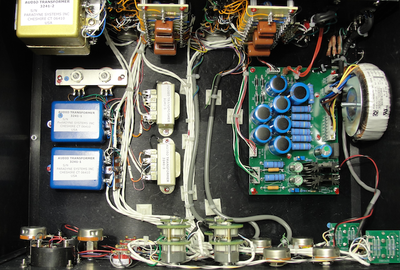 Wired completely point-to-point with custom, hand-wound transformers. If you ever wondered what a point-to-point tube compressor sounds like versus a pcb board tube compressor now is the time! 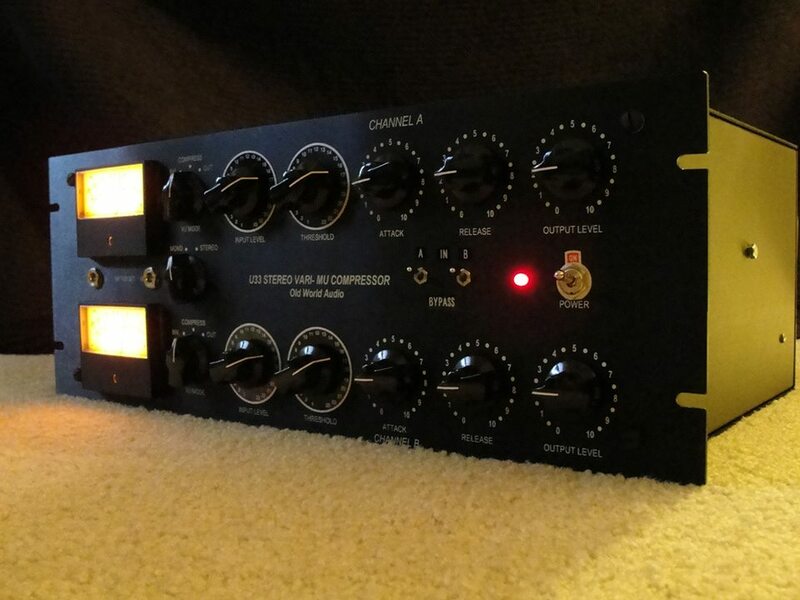 The Psidex Audio Laboratory PGP- 1A is a vacuum tube based microphone pre-amp and program line amplifier designed to provide solid, robust audio from any low impedance microphone ranging from low output ribbon to high output condenser. A 30 dB input attenuator is provided to allow using the unit as a bridging line amplifier, general purpose gain block or mixing amplifier. 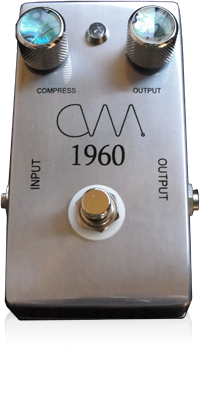 • Gain switch sets gain for 30, 40, 50 and 60 dB gain. • Output level control allows setting output from zero to +6 dB above switch setting. • A 30 dB input pad permits use with high level inputs and increases input Z. • Output phase reversal switch. • Standard XLR 3 pin input- output connectors. • Additional front mounted ¼” input jack for extra versatility. • VU meter switch for +4 dB, +10 dB calibration or off. • Mic phantom power switch interlocked with input pad switch. • Very large input and output transformers for clean low end. • Regulated HV and LV power supplies. • High quality polypropylene capacitors. • Mil spec Teflon wiring. • Tubes (2) recessed, replaceable from rear. Our friend, Tom Sokira, has built an amazing pultec that has impressed us so much that you have to hear it. The hand-built, all-tube, pultec PEQ-1 equalizer has the sweetest mids and top end we have heard. Hand wound inductors, hand wound transformers, beautifully made. Excellent for voice-overs, vocals, drums, bass, acoustic and electric guitars, and piano. Mastering quality.